The New England Conservatory’s Contemporary Improvisation Department pays tribute to one of its most definitive individuals on the occasion of his 80th Birthday. 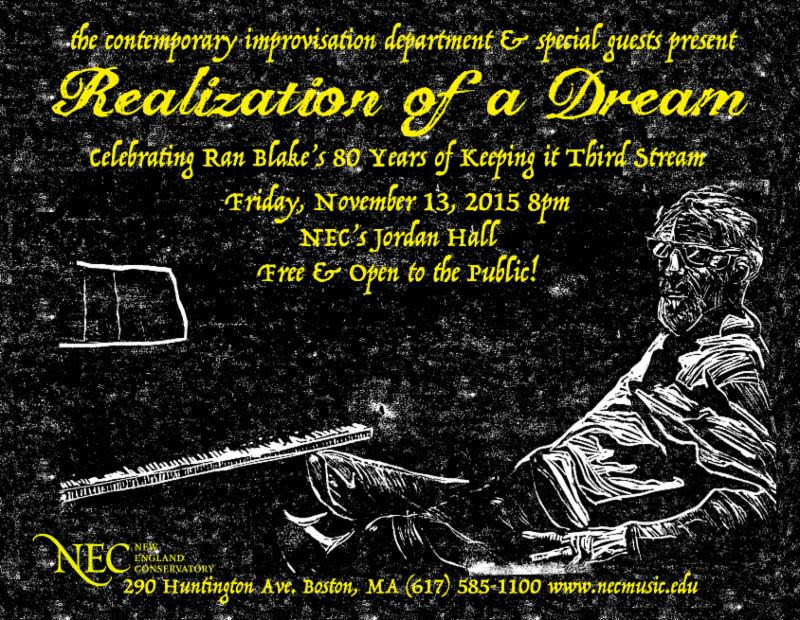 Ran Blake joined the NEC faculty in 1968 just as the Third Stream Program was founded. In 1973 he became chair of the Third Stream Department and held that post until 2005. Now known as our Contemporary Improvisation Department, Ran Blake maintains an active classroom and private instruction schedule. 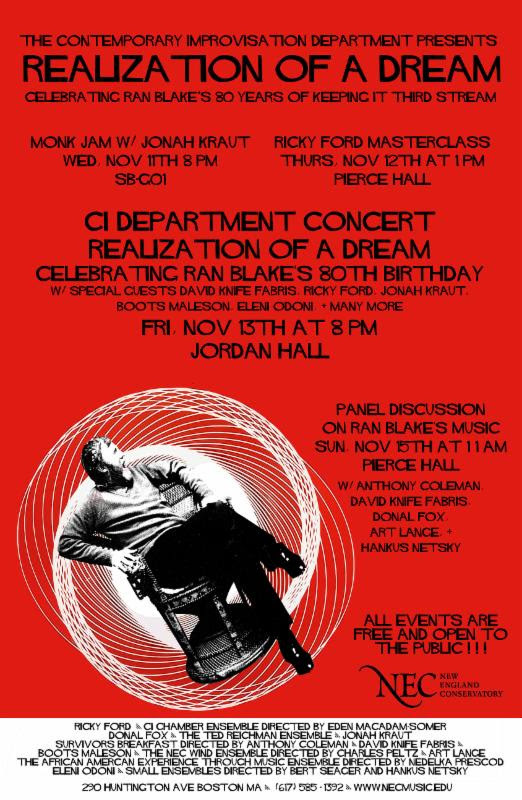 Blake’s musical and educational approaches are defining factors in the CI Department and this concert seeks to pay tribute to the unique character of that approach. With harmonic and melodic concepts informed by a multitude of modalities, perhaps most notably Jazz and Film Noir, this concert will attempt to evoke, and be informed and inspired by, the individual conception of Ran Blake. celebration Ran Blake’s 80th birthday festivities. Ricky Ford was one of the first students in NEC’s Community Services Department created by Gunther Schuller in 1968. The CSD transitioned into the Third Stream Department, and of course, now it’s known as the Contemporary Improvisation Department. Hampton, Adbullah Ibrahim, and countless others. He has also recorded with Jaki Byard, Ran Blake, Milt Hinton, Christian McBride, Danilo Perez, Yusef Lateef, Cecil McBee, George Cables, and Roy Hargrove. 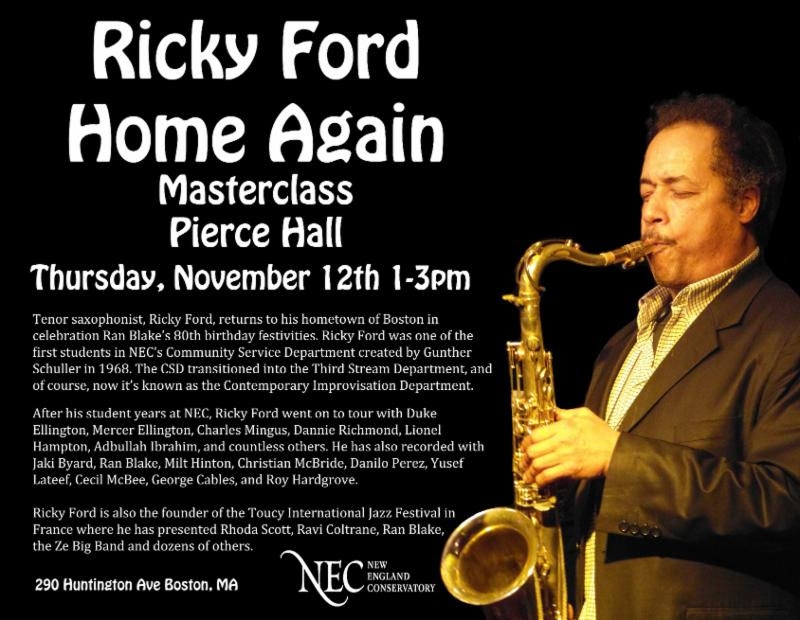 Ricky Ford is also the founder of the Toucy International Jazz Festival in France where he has presented Rhoda Scott, Ravi Coltrane, Ran Blake, the Ze Big Band and dozens of others. 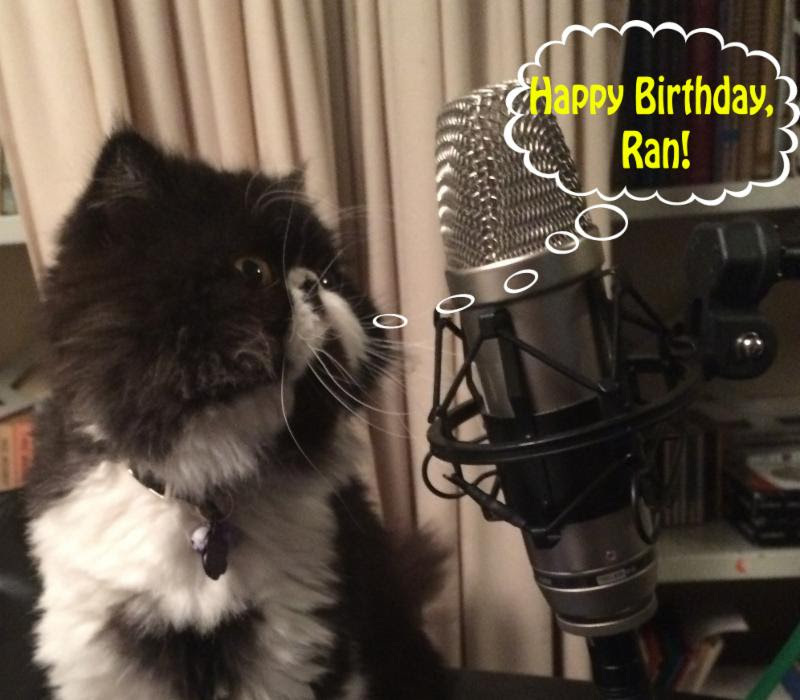 There will also be a Panel Discussion on Ran’s music on Sunday, November 15th at 11am in Pierce Hall.In this panel discussion, moderated by current Contemporary Improvisation chair Hankus Netsky, a hand-picked group of well-known musicians and writers including Blake’s guitarist Dave “Knife” Fabris, producer Art Lange, composer/pianist Donal Fox, and jazz journalist Bob Blumenthal will discuss Blake’s still-evolving musical legacy and its place in musical history. 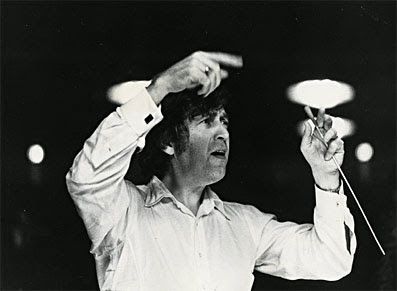 A complete list of Gunther Schuller memorial concerts with links for more info can be found at NEC’s website (CLICK HERE). There will be a second newsletter this month in honor of Gunther Schuller.